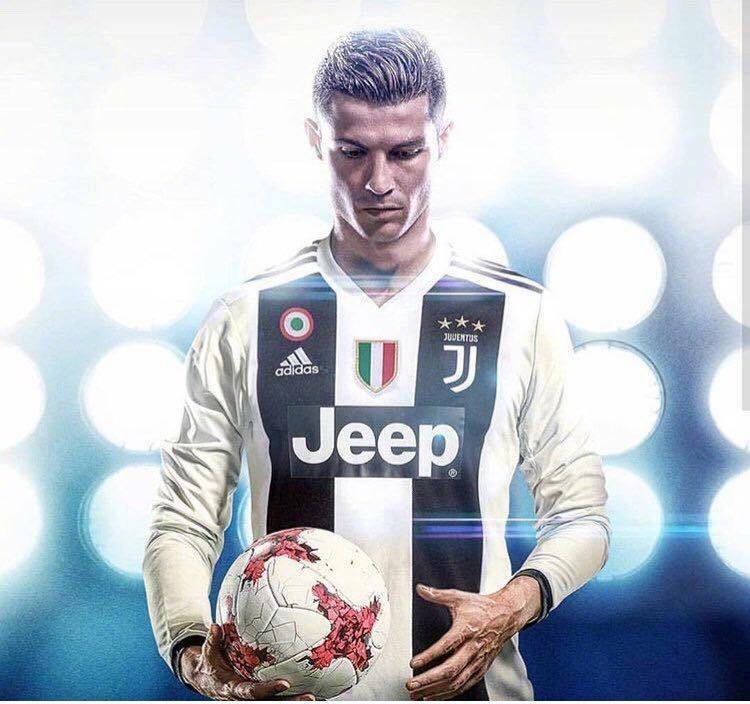 On July 10th 2018, La Liga Real Madrid Club announced that Portuguese soccer superstar Cristiano Ronaldo officially transferred from Real Madrid to Juventus. The combined multi-party transfer fee is 105 million Euros. According to the information disclosed earlier, Cristiano Ronaldo will sign a contract with Juventus for a four-year period with an annual salary of 30 million euros. For Ronaldo, who is 33 years old this year, this will undoubtedly be the last big contract in his career. After playing Real Madrid for 9 years,although he led Real Madrid to win 4 Champions League, 2 La Liga and other cups. Cristiano Ronaldo who won 4 Golden Globes still failed to be old at Bernabeu. Choose to go to Serie A to accept new challenges. Why is Cristiano Ronaldo going to transfer? Why is Juventus? What happens after the transfer? The answer you want to know is here. The so-called "Florentino crowded Cristiano Ronaldo" circulated on the Internet, I think is not completely accurate. Looking back at the relationship between the two today, it should be a typical "Hero jealousy". The so-called "Cristiano Ronaldo is the signing of Calderon when he was in office. Florentino has long wanted to drive Cristiano Ronaldo away". In fact, Real Madrid fans know that Ronaldo is Calderon's "heritage", but is there anyone still thinking about the predecessor who made Real Madrid a mess? On the reputation of fans and historical status, Florentino has easily beat Calderon. The second , not only the business achievements are not inferior to the year, the team record is rare in history, and the basis of everything on and off the court is Cristiano Ronaldo. Maybe Cristiano Ronaldo and Florentino are not friends, but they don't know each other is the most trusted partner. If the "heritage theory" is really established, with the means of Lafayette, how can Cristiano Ronaldo grow bigger and bigger in the Bernabeu and become a legend of team history? Florentino's interview with the original words was still in the ear: “If I sell Ronaldo, I will only use this money to sign Messi.” Is there any possibility that Messi will be able to airborne Real Madrid? Whether it is subjective or objective, to challenge Barcelona, ​​Cristiano Ronaldo, who is in the prime of life, is the biggest trump card that Mr. Chairman must fully draw. But surely, the cooperation between the two is at least "honeymoon" before 2015. You know, Cristiano Ronaldo and Real Madrid recently had a contract with a breach of contract of up to 1 billion euros. As long as Lafayette does not let go, Cristiano Ronaldo is afraid that it is difficult to withdraw. So the key to the question is, why did Florentino now promise 100 million euros to "sell" Cristiano Ronaldo? I have to admit that the merchants of Galeries Lafayette. He has been immersed in football for many years, and naturally knows that if the senior physique is not cleaned in time, the after-effects will be infinite. In the same year, Raul was only used for Cristiano Ronaldo. Shiyi was moved to the age of 33. The Ronaldo, who was 33 years old and whose temperament was the same as that of the year, became the next new Bernabeu--whoever he was. The biggest obstacle. Three years ago, Cristiano Ronaldo entered, and Lafayette disregarded everyone's opposition to the forced recruitment style of Benitez. The intention was to use this knife to make Belden, but Benitez was awkward, Bell. Unbearable, Cristiano Ronaldo is anti-conventional to achieve "reverse growth." Under the face of the old Buddha, he had to send love to Zidane into the White House to fight the fire. Who knows that Zidane's feelings are long-sleeved and good-tempered, and the real Madrid princes headed by Cristiano Ronaldo are united in a concerted manner, Florent Tino is naturally happy to push the boat to collect the profits. It is true that Lafayette's left-right hope for the rising star makes Cristiano Ronaldo unhappy. Cristiano Ronaldo's repeated demands for a salary increase with Messi also make Lao Faye tired, but at the same time, the Portuguese want to use the trophy to achieve a turn over Messi's corner. The real estate tycoon wants to use the results to rank second only to the legendary chairman of the sage Bernabeu. It is Zidane who gave the two men who have already had a rift a wonderful combination of the Champions League. During that period, it was not difficult to find out that Cristiano Ronaldo praised Qi Zu in front of the media, but he did not mention the "chief wise"; Florentino faced the camera and encouraged the team to achieve another success, but The military lord will "disregard it." The strong and clever two know that they can only go all out to solve the "main contradiction" of the Champions League. As for the rest, they can be put up later. Real Madrid played a high-profile triumph in Kiev, and the great cause was settled. The secondary contradiction turned into a major contradiction overnight. Cristiano Ronaldo, who is still able to fight on the physiological level, no longer wants to suppress his salary to be much lower than that of Messi, and Florentino, who has won the Golden Cup, does not want to relocate this brave but arrogant horse. What makes Real Madrid helpless is that the "Wanjin Oil" Qizu heart between the two is hanging out. The contradiction between the two has been difficult to turn around. The word "tax evasion" is almost a bit old for the two men. In fact, it is not uncommon for sports superstars to avoid taxes through various means. However, the Spanish tax authorities are not going to be in a hurry to pursue a fine, or even to send a stern attitude. Don't easily think that the Spanish national tax is a complete righteous side. The rocker Binyan, who has lived in Spain for many years, has long explained in the interaction with netizens. In Spain, which is trapped in the economic crisis, the taxation of the rich is almost levy. There is no loophole, but also the bones in the egg, where is the money, clearly is terrible. Just before the start of the World Cup, the tax department was still chasing after Ronaldo, and even the sentence was imprisoned. In the end, Cristiano Ronaldo took out a huge fine to pay the bill, and then went to Russia in a down-to-earth manner. The fame of superstars, the team behind the interests of the complex, even if this time to escape the storm, it is difficult to protect family and friends and other people around. Leaving this country is indeed a solution once and for all. On the contrary, Italy's tax reforms have given Juventus a "God assist" at this time. The new Italian tax law, which was recently revised, stipulates that foreigners living in Italy pay a maximum of 100,000 euros a year for their overseas income. Sponsorship contracts, investment income, and real estate investment are counted. Relevant people even confessed generously: "This tax law is to attract the stars to Serie A. Now there are few countries in the world that have loose tax laws like Italy. What is particularly attractive is that the family members of the players also apply to this clause. "At the beginning, the Spanish government set up a "Beckham clause" in order to help Real Madrid accept Beckham. La Liga has since taken off quickly. Looking at today, Cristiano Ronaldo may be the "Beckham" of the new era Serie A, taking this new policy. Is it a "Cristiano Ronaldo clause", is there any objection? By July 6, the Portuguese captain had been on the Bernabeu for nine years. In the past 9 years, Cristiano Ronaldo and Messi's "Mars hit the Earth" have won each other, and even the audience has some aesthetic fatigue; Real Madrid won the soft in the Champions League, and even the nickname of the Champions League should be called "Real Madrid Cup"; The League King's Cup, etc., although not much, but slammed into the hand; personally, the two-year-old Cristiano Ronaldo of the Messi also turned against the wind, the number of gold balls from 1-4 to 5-5. I have written in the column of Zidane's resignation that the hunger and thirst of the honorable men of Real Madrid has already seen a visible decline, and Cristiano Ronaldo cannot be detached. In this land of Spain, Cristiano Ronaldo has won everything and tasted everything. There is really no motivation. People who are arrogant tend to be inferior. Ma Boyong said that everything in life is nothing but a shadow of childhood. When I was young, I grew up in a Portuguese overseas territory. I was alone in the big city but my little friend who was practicing the ball laughed at my country accent and stunted body. The deep loneliness and low self-esteem in the bones must be a big source of Cristiano Ronaldo. Therefore, he needs to be valued, cared, and embraced. He needs to be loved. Whether it is the change of Florentino's attitude, Zidane's departure, the face of the Spanish tax department, or the fans of Real Madrid's "first picky in the world", he gradually feels that respect. In the last season of the Champions League knockout, Cristiano Ronaldo was brave enough to win the enemy, but after the goal of Bernabeu, he repeatedly asked the fans not to marry him and give a gesture of applause. It seems difficult to say that it is not the last effort of the Portuguese. In the recent renewed contract with Real Madrid, Lafayette had promised to Cristiano Ronaldo, and if there were any achievements, he would not be rewarded. But who knows that Barcelona will not hesitate to pay for Messi, but the big Paris that has never been able to spend money is even more afraid that Neymar's banknotes are not enough. In contrast, Cristiano Ronaldo, who is the first in the world, is hard to stop. . C Ronald money? Of course not. The Portuguese, who have a lot of experience in their own business planning and have a top team behind them, have already earned enough money in this life. Money is nothing more than a number for him - but please note that it is a number that symbolizes personal status! Every time he claims to be "I am the best player in the world, the second, the third and the third best player", it is impossible to be satisfied with a salary that is afraid that even the top five in the world will not be able to enter. Florentino is savvy. He knows that Cristiano Ronaldo will one day have an irreversible state of decline, so he will never invest more than a dime for the unknown risk. The repeated wrangling of the two sides on the most practical remuneration package is enough to explain everything. In fact, even if the transfer has been completely out of the world, it is still unknown whether Ronaldo can really leave, but still has room for revolving. However, the emergency consultation between the Cristiano Ronaldo brokerage team headed by Mendes and Lafayette was that the card was not in the process of treatment. In the end, the negotiations broke down and Cristiano Ronaldo finally decided to leave. Seems to be for money, but for the sake of respect. Today, Cristiano Ronaldo and Juventus's fate have been dug up again by the media. At that time, the small Luo Luo, who was still in the early stage of the Lisbon Athletics, had even completed the medical examinations arranged by Juventus. As a result, Salas refused to go to Lisbon because of the player's refusal. But life is so wonderful, and between them, Cristiano Ronaldo, who is tired of Real Madrid, once again got the call of Juventus. You know, he has clearly and unambiguously stated in his interview: "Juventusnt is the team I always love and care about." In fact, we can never tell, if Ronaldinho joined Juventus instead of Manchester United, the story will develop. But people are always like this, unfinished things are in front of you, you always want to have a curiosity and impulsiveness. Since the past can't be chased, it's better to start again! Compared with the Bernabé fans who are full of snoring, this year's Champions League match against Real Madrid at Juventus will definitely make Cristiano Ronaldo feel warm. The result was set aside. When Cristiano Ronaldo scored the shocking gold hook of the foot, the moment of the Allianz Allianz Stadium's standing up and applauding was the glory and warmth that Cristiano Ronaldo had never enjoyed for many years. The big horns on the stage sing a singer will always look at the audience of the audience who will listen to the drama. Once they scream at the ecstasy of the festival, on the stage, it is the true understanding of the opera; the same, the heart is strong. Cristiano Ronaldo, even if he is used to living under pressure, he will eventually hope to get a confidant who understands the ball. Undoubtedly, after the barb of the foot, the Juventus fans cheered and stood up to Cristiano Ronaldo. I don't know if he has flashed his thoughts when he patted his chest to respond to the fans: "If one day, it would be good to play for this group of fans?" On July 10th, Juventus President Agnelli himself even flew to Greece on a special plane. After landing, he immediately took a bus to the hotel in Kalamata and talked about Cristiano Ronaldo in the resort. It is very difficult for anyone to be treated like this. The transfer has not yet been completed. Under the momentum of the media, Cristiano Ronaldo has become the new king of the Zebra Legion, so that Juventus's summer new aid meeting will be held by everyone, and there is only Cristiano Ronaldo. Even Emre Zhan, one of the new aids who were "coldly out of the cold", also tried his best to promote the new club: "Cristiano Ronaldo, we are waiting for you!" In the rational adult world, perhaps the emotional offensive is never the deciding factor, but full of emotions. The bonus effect brought by the offensive is hard to resist. The law of the workplace tells us that only talking about feelings and not talking about money is a hooligan. The respect of Juventus really fell on the money. Cristiano Ronaldo repeatedly asked for, but Florentino insisted that the salary is not 30 million euros, but such a price, Juventus gave a happy gift. Although Juventus has given the impression of diligence and housekeeping these years, please note that Juventus's Agnelli family is not Berlusconi. Galliani's “Bike Free Signing Law” in Milan is a trial and error because of the old Bei is really ashamed; but the Agnelli family is purely rich in money. 90,000 euros won the 30-year-old Higuain is not a word, this time 100 million euros to buy a few orders of magnitude stronger than the smoker president is more than normal operation. As for the full salary of 120 million euros in 4 years, it is not a tax deduction. Even if Juventus is really difficult to maintain independently, the Agnelli family's famous enterprises such as Yun, Fiat and Ferrari have the heart to solve problems for the family. It is not necessary to worry about hundreds of millions of rewards. In addition, for Cristiano Ronaldo, there is a relationship with the Agnelli family. The endorsements of luxury brands such as Ferrari and Maserati, test drive and even the limited edition of the custom collection are naturally natural things. The business empire has been added to the high-end, and it has actually enriched its own garage. Why not do it in one fell swoop? Needless to say, Juventus is still the undisputed leader and the vanguard at the Serie A level, and the only Italian club that can match Ronaldo's status. It can be imagined that as long as there are not too many accidents, the next season, Juventus Serie A is not difficult, and C Roga's golden boots are quite likely. As you get older, it's a win-win situation for Cristiano Ronaldo, who doesn't rely on brute force and knows how to take advantage of it. His career has been in the throne of the three footballs of England, Spain and Italy. It is also a rare new stimulus for the 33-year-old Portuguese captain. Juventus's Serie A championship has never been seen before, but the old woman who is uncomfortable with the opponents is always unable to ask for the Champions League. In one case, she died in Cristiano Ronaldo. If you can't beat him, let him use it for me. This is the universal truth of the whole world. Cristiano Ronaldo's momentum in the Champions League and the state of the game are obvious to all. Agnelli is tired of the Serie A Gold Cup. If you want to gamble on the next few seasons, you will be able to win the taste of Europe. The five Cups' Ronaldo in your hand are undoubtedly the biggest catcher. As mentioned above, there are only a handful of clubs that look at the strengths of Europe and the Cristiano Ronaldo. The Bayern tradition is bound to be a big star that must be above the team. The return to Manchester United is a perfect story. Mourinho traded, the two Portuguese people in the late Real Madrid cooperation has long been an open secret, Ronaldo even used the "Do not spit in the bowl of their own meals" this Portuguese bandit back and forth magic The criticism of the bird, the door to cooperation has been closed. Only Juventus, there is a face, there is money, there is a bottom, and willing to give Cristiano Ronaldo absolute core treatment. When confirming that he wants to leave Real Madrid, Ronaldo's options are already clear. The old woman is a strong man, and the team has always been a heavy star. However, the general trend of football is no longer the same as that of the past. Can look at the Juventus lineup in recent years, in addition to the old door god Buffon (has already transferred to Paris), it is really difficult to find the absolute big coffee with the strength of a hammer, this is one of the reasons why Juventus has repeatedly lost in the Champions League in recent years. Tevez is arrogant, Higuain fights softly, Pjanic is not good at scoring, and Dibala needs to grow. Now, they finally have an ace in absolute sense, a nuclear weapon worthy of dependence. The meaning of Cristiano Ronaldo in Juventus is far from being limited to the top of the court. Please look at the list. Cristiano Ronaldo has not yet joined Juventus shares, just like a chicken blood, and even asked the Italian Securities Regulatory Commission for an inquiry letter. Reasonable explanation. The market value of the whole team is even more than 1.5 billion. It is conceivable that with such a superstar card, Juventus will surely hit a new high in the next season regardless of the ticket sales or surrounding goods. Cristiano Ronaldo sells out of stock? It's an accident not to sell out of stock! Yes, the vacancy in the Bernabeu throne may cause turmoil, but turmoil is also a must for Real Madrid, which is in urgent need of a blood transfusion. Conversely, sending away the first day of respect will make the action after Real Madrid much simpler. "We have sold even Ronaldo, can't you leave you?" Lafayette's permission to transfer to Cristiano Ronaldo will naturally lead to fans, but savvy and strong, like Florentino, must be clear, the most labor-saving way to establish a new dynasty, It is precisely the reintroduction. Neymar? Mbape? Azar? At least one thing can be affirmed: After two or three seasons of careful play, this summer, Real Madrid wants to move the real thing! Real Madrid's start-up of superstars can be foreseen, and the big case is not too difficult to put in front of Lafayette. Juventus, who is determined to build around Cristiano Ronaldo, will also detonate a deep-water bomb, which will inspire a bigger embarrassment in the transfer market. Higuain has been madly passed away to Stamford Bridge, and Debala, who does not want to play assists, seems to be also heart-warming. When we look back at the summer transfer of 2018, Cristiano Ronaldo must be the origin, Real Madrid and Juventus are destined to become the axis of all the stories. Since Kaka's wandering home, Serie A has not been in the top position for many years, and the economic crisis has hit hard. The once "Small World Cup" has even fallen into the field of entertainment. But as the situation progressed step by step, C Ronald Airborne Apennines was definitely the Gospel of Serie A. Who is Cristiano Ronaldo? It is the most influential football player on the planet. Wherever Cristiano Ronaldo goes, the fans will follow. Cristiano Ronaldo's every move will be a good opportunity for the fallen Serie A to regain its attention. In the era of traffic media, attention is money, power, and the lifeline that sustains all business models. Looking at Cristiano Ronaldo, it is inevitable to look at Juventus and then look at the entire Serie A. After a few years of small troubles, Cristiano Ronaldo's transfer will become a godsend for all-rounded Serie A. Do not doubt, AC Milan fans frankly said: "This is a good thing for all of Italy, can bring huge economic benefits to the league." With the city's mortal enemy Turin fans do not cover up: "Cristiano Ronaldo is the world's best player, I hate Juventus, but I will also pay attention to Cristiano Ronaldo's performance. his arrival is helpful for everyone in Serie A!"